Holistic Horse Health: Is your horse’s back tightness coming from his belly? Did you know that 80% of back tightness originates from causes other than injury? It is true that sore lower leg joints or overwork do cause back problems but they are often secondary to other issues. The most common reason for back tightness is constriction of the connective tissues surrounding internal organs. Internal organs do not contain pain receptors but if they become inflamed the connective tissues around them are irritated. The connective tissues surrounding internal organs have strong pain and stretch receptors and feedback from them through the spinal nerves will affect the spine of the horse. Anytime 2 or more vertebrae in the spine are affected if is fair to assume internal problems exist. If these internal problems are not addressed then treatment of a sore back and/or lower limb joints will give only temporary results. In male horses we often see connective tissue adhesions from gelding. These adhesions can start out small but grow over time and not bother the horse until he is older. Stomach and intestinal ulcers are probably the most common internal cause of tightness in the back, shoulders and ribs. 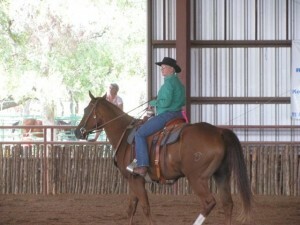 Ovary problems in mares and kidney and bladder issues can also be considered. Chronic lung inflammation and liver problems affect more the upper spine and withers. This entry was posted in General Horse Care, Horse Health Care, Horse Ulcers and tagged back tightness, holistic horse health on November 7, 2012 by Madalyn Ward, DVM.